In this post, we are going to introduce you to a PHP script that will list the movies and users can see the trailers videos of the movies. This is the Movie Video Trailers and Info PHP Script developed by CodeSpeedy and using the TMDB API key to retrieve the movie data. TMDB or The Movie DB provides the API key using which this PHP script is getting the data like movie banner images, poster images, and movie video trailers video YouTube ID. 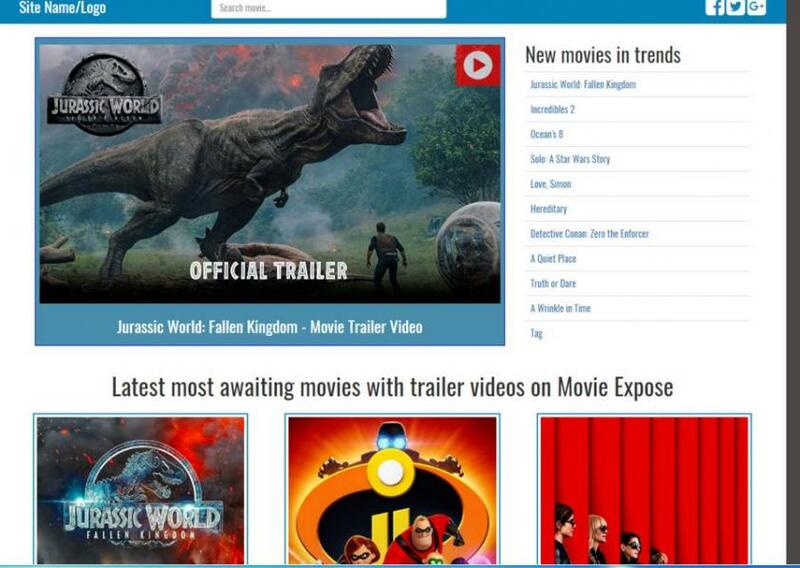 The Movie Video Trailers script will show various information like movie release date, tagline, budget, production companies and more. You can see the live demo of this script here. You can download the source code of this script here. Completely responsive and mobile friendly. Built with the popular Bootstrap framework. Easy to install on the server. You just need to put your API key and the directory where you install the script and after that, the script will run. Almost works on AJAX which makes and feels it amazing and increases user experience. Display the latest movies on the front page. After clicking on a movie, it will show more information about the movie. Show all the video trailers of a movie if there video already releases. Show video credits and characters of a movie. Sharing the single movie page link on Facebook will show the movie poster image on the Facebook post. Customization of the script service available by developers. If you need to customize the script then you can contact the developer. How to start using this PHP script? After you download this Movie Video Trailers PHP script from here, you just need to open the inc >> config.php file and put your TMDB API key and the base path which is the directory where you put your script in the PHP file. That’s it, and the script is ready to run on your server. If you need this Movie Trailers and Movie Info PHP script, then you can download the source code here. Also, you can ask our team for customization or to give as a custom order. Contact us for any customization help.